WOW! Women On Writing Blog: Tracy Seeley, author of My Ruby Slippers, launches her Blog Tour! Tracy Seeley, author of My Ruby Slippers, launches her Blog Tour! A bout with breast cancer and a betrayal by a loved one encouraged Tracy Seeley to search for her past in what she had believed to be a long forgotten childhood in Kansas. A plan for just one trip back to the past evolved into several trips to the Midwest that revealed her hidden feelings about the meaning of family. Along with beautiful descriptions of a state most of us know little about and associate with...flatness and cornfields, Seeley paints for us an inner map. The map from the interactions of her childhood family to her present day relationships with the men in her life. Seeley has put away her wandering shoes long enough to join us for a WOW Blog Tour featuring her memoir My Ruby Slippers: The Road Back to Kansas. My Ruby Slippers is available for purchase at Amazon, Barnes and Noble, and independent bookstores. View the fantastic book trailer for My Ruby Slippers: The Road Back to Kansas below. If you would like to win a copy of My Ruby Slippers: The Road Back to Kansas, please leave a comment a the end of this post to be entered in a random drawing. The giveaway contest closes this Thursday, June 30 at 11:59 PM PST. For an extra entry, link to this post on Twitter with the hashtag #RubySlippers, then come back and leave us a link to your tweet. We will announce the winner in the comments section of this post the following day, Friday, July 1st. Good Luck! With a Ph.D. in British Literature, Tracy Seeley teaches literature and creative nonfiction at the University of San Francisco. She can claim 26 addresses as her own including towns all across the midwest, Dallas, Austin, New Haven, Los Angeles, Caracas, Budapest, and Barcelona. When not tracking down Kansas addresses that no longer exist, Seeley lives in Oakland, California with her filmmaker husband, Frederick Marx. In an attempt to put down roots she has started a vegetable garden and is considering buying chickens. WOW: You're a professor of creative writing, so I'm guessing this book isn't your first attempt at writing. Can you tell us about when you began writing and the types of writing you've done? TRACY: I'm really a literature professor who teaches creative writing whenever I get the chance. Those two parts of my life have evolved together over the past 10 years, but I began my career as a literary scholar, with a PhD in 20th century British literature. That was my route to becoming a professor. But I was always drawn to the literary personal essay, by everyone from Montaigne to Virginia Woolf to E.B. White and Annie Dillard. I first taught and studied the essay as literature and then gradually shifted to writing my own. So I've published scholarly essays on a number of writers, including Virginia Woolf--who's a literary hero of mine. And I've published a small handful of creative essays in journals like The Florida Review and Prairie Schooner. But My Ruby Slippers is the first book-length creative work I've done. I've been riding a big, exciting learning curve. WOW: What made you decide to take the multiple trips back to your home state of Kansas? TRACY: I first decided to go back because my mother had written a list of thirteen addresses in my baby book. These were all the houses I'd lived in by the time I was nine. Needless to say, we'd been very mobile, and unsettled, and mostly unhappy because of that. And because I didn't remember many of those houses and towns I was curious. When I was in my 20s, I started to think I'd one day go back, follow my family's wanderings and see what I found. By the time I went--20 years later--I'd also been feeling deprived of a real sense of place. Since we'd moved so often and weren't originally from Kansas, my family never really felt at home there, and I felt disconnected from it. I hoped to address that, or understand it somehow. At first. I planned to go back only once. Do a quick trip, write a book. But on that first trip, I really fell in love with Kansas and knew I wanted to know it better, spend more time there, collect more stories from people I met and learned about. So I ended up going four more times. The last time, I lived in a tiny town called Matfield Green for ten days. That was one of my sweetest trips, because I could really settle into one place in my favorite part of Kansas, the Flint Hills. WOW: During your trips were you keeping a record...either a journal or letters or photographs? Your descriptions were so vivid I thought you surely must have recorded your trips with a camera. Do you keep a daily or regular journal? TRACY: I kept a daily journal, and was very conscious of wanting to pay close attention: to mentally record details, people, and conversations along the way. I also took a lot of snapshots--not great photos, but great recorders of detail. They helped me remember, once I started writing. On my first trip, I also had a tape recorder. I was doing so much driving, I wanted a way to record things without having to wait to write them down. I don't keep a daily journal--though I know a lot of writers who swear by them. I've tried many times to start a daily journal, but always feel self-conscious and confused about my audience. Who is it really for? Maybe I'm just not disciplined enough. Who knows? I do carry a journal around--and whenever something really interesting crosses my path or my thoughts, I jot them down. I write stuff on my hand, on scraps of paper, on the flyleaves of books...probably not the best approach. WOW: I'm so happy to meet another writer who can't get the journal thing going and is surrounded by invaluable scraps of paper. I once wrote a plotline on a church bulletin--before church started, of course! But let's get back to the one time you did manage to take daily notes...at what point did you see the outlines of a memoir in a trip journal? TRACY: When I went back to Kansas it was with the intention of writing about it. I wasn't sure what sort of thing it would be, or how long. But then, once I stood in front of childhood houses or schools, and walked down sidewalks I knew my parents had walked on, the idea of connecting childhood memories with the memories of my trip started to take shape. But it wasn't until I'd written about 200 pages and thrown them away, then tried out various chapters and written some anecdotes that I began to see the shape of the whole thing as the memoir it became. Like most writers, I discover what I'm doing by doing it. I finally settled on the structure of the book on about the fifth complete draft. WOW: How did you select the memories that would create a flowing story? TRACY: I chose the childhood memories that wouldn't leave me alone: powerful moments that followed me everywhere. In this way, I think the memories choose us. One was the day we moved from the town where I was in the middle of my kindergarten year. It broke my heart and has a lot to do with how I feel about moving even now. Another was the day I got lost walking home from my new kindergarten. Another was the day my father left when I was twelve. These are all fundamental memories that I knew had something important to offer. So one of my tasks in writing the book was to do some hard thinking about why these memories stuck with me. What did they tell me about my own emotional life and sense of self- understanding? How could I tell them so that they communicated their emotional power and also gave me a chance as the adult writer to reflect meaningfully on them? As I worked on My Ruby Slippers, the themes of loss and displacement became pretty clear, even in the stories I chose to write that aren't about me. In the chapter "Sacred Bundles, Secret Maps," I tell the story of a Pawnee girl named Sadie whose parents are killed in the late 19th-century. Her story is also about loss and survival and the importance of family stories--so it felt very familiar to me, and it fit the story I was trying to tell. WOW: Was it difficult to leave memories out? TRACY: Once I came to terms with the childhood memories I chose to include, it was easier to make choices about what parts of my Kansas trip would fit the book, and what I'd save for something else. A lot of my travel experiences ended up in a drawer. Leaving things out just comes with the territory. Memoir writing is an art just as novel or poetry writing is--and the aim is to create a coherent work in which all parts serve a common purpose. So in writing memoir, we have to ask ourselves at every turn, "What is this book really about?" It's not about everything that's happened to us, but is a literary account of some aspect or slice of our life. We leave out far more than we include, but the choice of what gets left out should be about the integrity of the story--not about avoiding difficult subjects. WOW: It seems every week we read about a different genre that is "dying." Earlier this month, YA was "dying," not long ago experts announced that memoir was "dying." So tell us, do you think memoir is on life-support? TRACY: Declarations about a genre "dying" are usually about the publishing industry: Will Genre X continue to sell? Once a particular genre seems to have saturated the market, it's often declared dead. Like "vampire fiction is dead." As we know, vampires don't die--and I predict we'll see a new generation before long. I'd like to think there's always going to be an audience for well-told stories. Some of those happen to be first-person accounts of real experience. We like reading human stories because we're human; and I especially enjoy a human story that's well-written and perceptive, that lets me in to the heart and wisdom and artistry of another person. Whether the industry will continue to sell memoirs is another question, and this is also part of the problem. Publishing puts a premium on memoirs that are sensational or scandalous in some way, and really cashes in on celebrity memoirs--and I think that's unfortunate, because it saturates the market with books that aren't always artful, and sometimes aren't even true. That's not to say there aren't wonderful memoirs that sell well. But there are also memoirs that don't do the genre justice, and this creates a criticial backlash against all memoir. Whether it survives as a genre is hard to predict, which is why I'm always skeptical about these death predictions. I'm finding a lot of memoir lovers out there, as well as thoughtful readers who will read good writing of any kind, including memoirs. WOW: What can we expect from you next? TRACY: At the moment I'm on a ten-week summer book tour along with my husband, who's a filmmaker. So I'm doing readings and he's showing his new film all over the western US. We're having a blast. So first up, I'm writing about our journey on my blog. But I'm also starting to cook up a new book which won't be a memoir, but another kind of literary nonfiction. Because it's all new and just beginning to simmer, I don't talk about it. I don't want to talk it away. So stay tuned. WOW: I'm hungry already and can't wait for a taste of the next creation in your writing kitchen! Stop by for a review of Tracy Seeley's memoir My Ruby Slippers. Don't forget to return on Wednesday for a special guest post by Tracy. Stop by to learn more about Tracy Seeley and how her battle with breast cancer influenced her to write her memoir My Ruby Slippers: The Road Back to Kansas. Discover yourself through writing with the help of Tracy Seeley, author of My Ruby Slippers, a memoir about her journey through Kansas searching for family and memories in the 13 houses she called home during her childhood. Tracy Seeley weighs in with why the world needs indie bookstores. Come share your favorite bookstore experience and win Seeley's memoir My Ruby Slippers. Tracy Seeley offers readers a peek behind the scenes of publishing to learn how My Ruby Slippers went from idea to book. You'll also have a chance to win a copy of her memoir about the search for family. Tracy Seeley questions why it is we feel drawn to old our homesteads. She's also giving away a copy of My Ruby Slippers, a memoir about her return to her childhood homes in Kansas. The cottage bookshelf welcomes their first author for an interview today! Don't miss Tracy Seeley, author of My Ruby Slippers and a big fan of being first! Have questions about memoir writing? 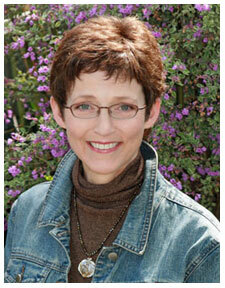 Stop by Memory Writers Network when Jerry Waxler is asking Tracy Seeley for her tips about memoir writing. Tracy Seeley, author of My Ruby Slippers: The Road Back to Kansas, shares the road to publication in her interview about writing memoir. Return on Friday to learn about marketing your memoir. Take a vacation to Kansas today with a review of My Ruby Slippers: The Road Back to Kansas by Tracy Seeley. Women's Memoir is giving you some tips on marketing your memoir with the help of Tracy Seeley, author of My Ruby Slippers: The Road Back to Kansas. If you have a blog or website and would like to host Tracy or one of our other touring authors or schedule a tour of your own, please email Jodi and Robyn at blogtour@wow-womenonwriting.com. Book Giveaway Contest: Enter to win a copy of Tracy Seeley's memoir My Ruby Slippers: The Road Back to Kansas! 1. For your first entry, just leave a comment on this post! Leave a comment or ask Tracy a question to be entered in the random drawing. 2. For an extra entry, link to this post on Twitter with the hashtag #RubySlippers, then come back and leave us a link to your tweet. The giveaway contest closes this Thursday, June 30 at 11:59 PM PST. We will announce the winner in the comments section of this post the following day--Friday, July 1, and if we have the winner's email address from the comments section, we will also notify the winner via email. Good Luck! My favorite genre is memoir, so I'd love to win. However, if I'm not the lucky winner, I received a "consolation" prize: the interview. It was fascinating to read how she sifted through the memories. I drove through Kansas on a road trip two summers ago and fell in love with the countryside. The plains have a beauty all their own. I'd love to win a copy of this book. I have two journals, including a beautiful leather one my son gave me for a birthday gift several years ago (at my request). They both sit empty even though I keep saying I'm going to start! I love the title of this book, and I like to read anything about breast cancer since I lost a dear friend in her 30s to breast cancer. What a great intro to a book--interview & trailer have certainly drawn me to this Kansas setting. When I was growing up in Ontario, Canada, my family only moved once but it was a life-changing event for me as a Grade 2 child. It calls me to write about it and has led to many poems and personal essays. The childhood rootlessness resonated with my own experiences moving around the Midwest. I liked the cover, title & references to The Wizard of Oz, as well as the type of memories Tracy talks about distilling for her memoir. I'm loving these comments--we share so much common ground, no matter where we've grown up or how many times we've moved. Jamie, the loss of your childhood home really resonates with me, and I honor your spending time in reflection. It's often through that painful exploration and just sitting with the experience that I find material for writing. I wish you all well. This sounds like a great read. I'd love to win this title. My Ruby Slippers has been on my reading list ever since I heard Tracy on the National Association of Memoir Writers seminar. Would love to win a copy of her book. It sounds like a great read! It's going on my list now! I absolutely love reading memoirs and I'm presently working on one of my own. I am from the Midwest also, so I would love to read this for many reasons. I'll have to check out your blog soon too. This book sounds wonderful! Please enter me in the drawing. Thank you! I can relate to the moving-too-often theme--the longest we stayed anywhere was 14 months. Or at least that was true as a child--as an adult,I made making and settling into a real home a priority. been here in Northern California 7+ years now . . .
And we've been out to Missouri and Kansas to visit my in-laws and found all kinds of interesting things to do and see (Steamship Arabia museum, living history at a wool mill, etc). Husband's parents live in a beautiful, hilly section of Missouri. How very exciting to have another wonderful Wizard of Oz book to read! The book sounds fabulous (and memoirs are my favorite genre) but I'd enter simply because she has a PhD in British Literature--Holy Moly--she must be one smart cookie! I love that you discover what you're doing by doing it. As much as I would like to plan out my stories, I don't find that I'm able to, they seem to need to be discovered. Looking forward to reading your book. I spent a summer in Kansas, and could write my own Where in the World is...? book. Would like ot read My Ruby Slippers. It's impossible not to leave a comment when a free book is at stake! Would love to read this. So many themes that are similar to those that have touched my life. With so many touched by cancers in our family, we certainly know the meaning of family support. I'd love to read this book. I like the book's trailer. We recently lost a friend to cancer. I think this book would be healing for my family. Would love to read it! Quite often something so significant as cancer, makes us reflect on our lives and search for the hidden meanings of life. This book sounds intriguing. I think I would enjoy reading it. I apologize for being a day late with the drawing. I'm in the middle of moving to a new house (seems apropos considering the book's topic! LOL) and have been without an Internet connection until this morning. Thank you for all your thoughtful comments. We held a random drawing via random.org and the winner of Tracy Seeley's gorgeous memoir is...Sioux! Congratulations, Sioux! 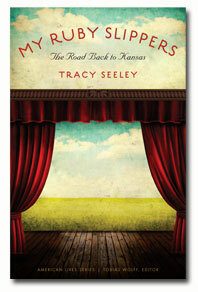 You've won a signed copy of My Ruby Slippers: The Road Back to Kansas by Tracy Seeley. Please email us at blogtour@wow-womenonwriting.com with your mailing address, and we will forward it to Tracy for you. And to everyone else: be sure to check out the rest of the stops on Tracy's tour for more giveaways and fantastic advice from Tracy Seeley.